I went away to college, but every time I came back to Evansville and attended church at Crossroads, I’d see David after church. He’d spot me from a ways away and we’d meet. “‘Sup, Colebourn?” and he’d give me a big hug. I moved back to Evansville in 2014 and I decided I wanted to take piano lessons. Frankly, it was something I wanted to do in high school but was too busy with tennis, so why not now? There was only one person I wanted to take lessons from, and that was David Rinehart. For the last two years up until this semester, David and I met once a week. “‘Sup, Colebourn?” he’d say, every week. We’d spend some time practicing piano, but we spent most of our time together just talking and praying. If you knew David, there were two things he loved to do: talk and pray. Learning piano was hard, and I honestly didn’t like practicing, because it was just hard for me. But I kept going because David believed in me. I’d purposely talk a ton during our “lessons” because I was too nervous to play in front of him, because I was just not very good. I first met David as a middle schooler at Crossroads. 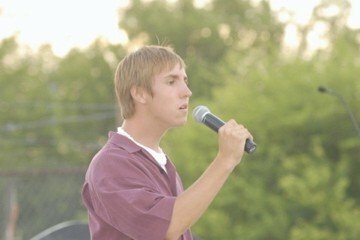 I got involved in the choir and eventually went on four different mission trips with David and the high school choir, to Piedras Negras, Mexico twice, Dearborn, Michigan once and to New Orleans, Louisiana. We’d take our high school choir and others in the youth group to cities, do work and put on festivals for neighborhoods. Our choir would sing while others manned game stations. It was a mini carnival. Like so many of my peers, I was drawn to David. His musical talent was obvious, but his personality was unlike anyone else. He was kind. He was funny. He was loving. He was serious. He was sensitive. He was truly a man of God. Our rehearsals were long and tiring, but David would keep it fun. We’d be rehearsing our choreography and David would randomly break out the “Crazy David dance.” Those who were in Tribute with me know exactly what I’m talking about. It was his signature white boy dance move. David’s personality was infectious, and his confidence in everyone was so strong. I was always involved in choir all throughout high school and was even part of select ensembles. Still, I wasn’t and never have been very confident in my singing voice. But David was, to the point that he wanted me to sing a solo for our shows in Dearborn and New Orleans. I’d never sung a solo before. He was adamant I could do it and told me not to worry, that I was singing to an audience of one — Jesus — and it didn’t matter what anyone else thought. I sang “You Are God Alone” in Dearborn, and “Only Grace” in New Orleans. As I attempted, and struggled, to learn piano, David’s confidence in me never wavered. Last May he urged me to play in a recital at the Worship Arts Academy. I didn’t want to play for my family, let alone a room full of strangers. up on me. I played the recital, without any music on the piano, and even though I messed up a couple notes, I’ll forever be proud of that achievement. I don’t think I could’ve done it without the confidence that David instilled in me. He started scheduling me as his last student on Wednesday nights because he knew we’d go longer than our time slot. “I just like talking to you,” he’d say. He had a million other places he could’ve been, but he wanted to spend time with me. Wednesday nights were our night. I looked forward each week to seeing David, and that was what kept propelling me to practice piano. I looked forward to sharing with him what had gone on in my life since the last time we talked. Over the last two years, I’ve gone through a number of big changes in my life. David was there for me for all of them. When I watched my brother and sister-in-law try desperately to get pregnant despite a number of physical challenges, he prayed with me. When I hit a deer last May and thought my car was totaled, he prayed with me. When I went through a hard breakup, he prayed with me. When I contemplated a career change to leave journalism and become a full-time teacher and tennis coach, he prayed with me. 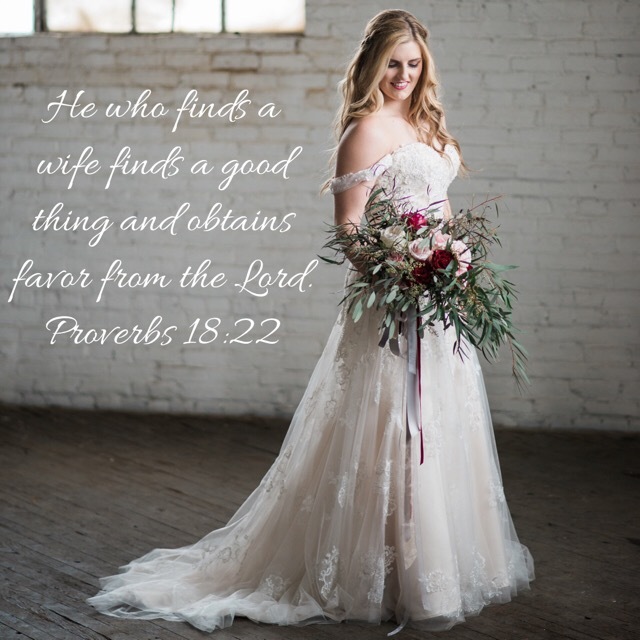 When I finally thought I found the girl I want to marry, he prayed with me. When my grandmother passed away this summer, David was at the funeral to grieve with me and my family. My brother and sister-in-law soon became pregnant with their beautiful daughter and are expecting a second child. I got through the breakup. My car was repaired. 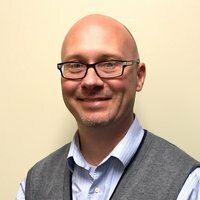 I’ve left journalism and am now a full-time teacher and coach. I’m dating a girl that I know I will eventually spend the rest of my life with, and he was so happy when he finally got to meet Emily. I shared all of these valleys and peaks with David. He knew everything that was going on in my life, and he was my mentor the entire way. 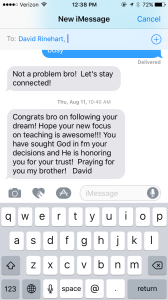 This may sound silly, but I just always felt like David had a secret phone line to connect with God. So many of the things we prayed about happened, and it didn’t even take long for them to happen. He was the one person I went to when I needed Godly advice. I didn’t take piano lessons this semester, mainly because it was my first year teaching and being a head coach, and I just simply didn’t have the time. 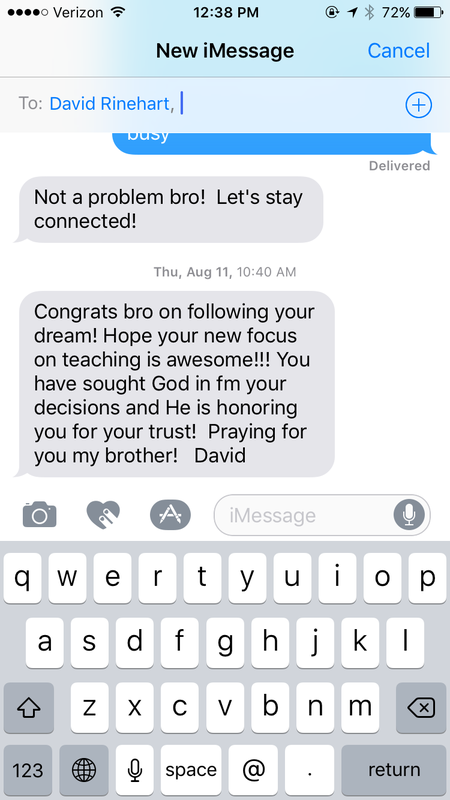 Busy schedules and life prevented David and I from talking much this semester, but he sent me the text to the left during my first week as a teacher. About a month or so ago, I ran into David by chance at Moe’s. We were both there alone and he asked me to stay and eat with him. Before I could even get to the register, David had already paid for my food. We stayed and talked and it was such a joy to tell him about my teaching and coaching career — how all my hopes and dreams over the last two years were happening. It was no coincidence. I didn’t realize that would be the last time I’d ever talk to him. On Sunday, I received a text from my stepmom that read, “Did you hear the sad news about David Rinehart?” David had recently gone through a divorce earlier this year, and at Moe’s he told me how his daughter, Josie, nearly died due to a rare blood clot condition. I was hopeful it was nothing too bad, but in the back of my mind I knew that my stepmom only texts me like this if it’s something serious. It was worse than I could’ve ever imagined. David, along with his mother Ruth Ann and 17-year-old daughter Sophie, were killed in a car accident coming home from a Castle band competition. They hit a deer, and David stopped on the shoulder to await a tow truck. Moments later, another driver, for an unknown reason, left the road and hit their parked car. Josie survived and is recovering at the Bloomington hospital. It’s a tragedy in every sense of the word. I fell to the ground in my apartment and cried uncontrollably. I looked over at my piano and the music and flashcards he gave me are still sitting there. I was literally shocked, and frankly I still am. I’ve held my mother’s hand while she died and experienced the death of my grandmother and grandfather. But this was different. I was prepared for all of those. There’s no way to prepare for something like this. David’s parents were so good to me. They’ve been a part of my parents’ small group for many years, and they were always quick to donate money to me in order to be able to go on those mission trips. His father, Gary, gave me a painting job the summer before I started college in order to pay for a new laptop. His daughter, Sophie, was so, so, so talented. She had the kind of voice that some record label producer was eventually going to notice and want to sign her. It’s been a day and I’m still not entirely sure how I’m going to handle this. I’m an English teacher, so the only way I know to cope with things like this is to pray, listen to music, and write. David was my pastor, but he was also my dear friend. He was my Christian counselor and the one person who is most responsible for the foundation of my faith in God. He taught me how to worship and what it meant to be a Christian. He taught me how to share my faith and the importance of doing so. He did this by doing it himself. Despite all of the bad things that happened in his life over the past year, when I saw him at Moe’s — though clearly dejected — he was still clinging to his faith in God. He’s the person I’d go to for Godly advice when I’m hurting like I am now. I can’t go to him now. 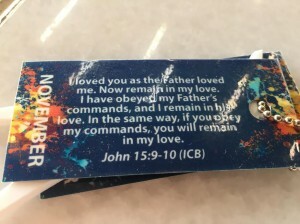 Before each semester at piano, David would give his students cards with Bible verses on them. Each month had a verse, and each week he’d ask us different questions about different aspects of the verse and we’d talk about them and pray about what it meant for our lives. John 15:9-10 was one of those verses, and it feels especially appropriate today. Please pray for Gary, Lucinda, Josie, Rylie and the rest of the Rineharts, as well as the Crossroads church family, and all of those who knew and loved this amazing man and his amazing family. For those hurting because of this tragedy, as hard as it is, remain in God’s love, just as David, Sophie and Ruth Ann did. I’ll miss seeing David’s bald head, his smiling face, his singing and piano playing. I’ll miss hearing him say “‘Sup, Colebourn?” But God truly has three amazing people with him now. My hope is that I can become the kind of teacher and coach for my students and athletes that David was for me and so many of my friends — the kind whose influence is imprinted on us for our entire lives. I’m hurting, and I know I’m not alone. It will take a long time to heal. But as the verse in John says, we must remain in His love, because in Christ alone our hope is found. Thank you, my dear friend David, and the entire Rinehart family. The world is smaller without you, but the Kingdom of God is bigger. Prayers for you all. May memories hold them in your hearts forever. Beautifully written….Thank you for sharing. David touched many as did his entire family. This is a beautiful tribute, Cole. Thanks for sharing it. Thank you for sharing, I didn’t know the family personally, but my heart was broken from this tragedy.. I live in the community near Newburgh and love the Lord with all my heart. I’m praying for all those left behind. God bless you! What a lovely tribute. I’ve known Gary, RuthAnn, David, Shawn and Sara my entire life. We grew up in the same church, Gary was at Vogel when I was a student there, and I took piano from Ruth Ann. The shock of the situation is hard to absorb, but God’s ways are higher than our ways and He is still sovereign. Thank you for sharing. Made me cry. He touched so many. May God richly bless you as you minister where you are! Thanks for sharing what David mean’t to you, and the difference he made through showing you Jesus and encouraging you. Sup, Colebourn? Although we’ve never met, David was a friend of mine from childhood. I was a Boy Scout with David at Cullen Avenue Christian Church, long before Crossroads was built. I attended Philmont with David and hiked out there in “God’s Country” alongside him. This touching tribute you’ve shared with us about your experiences with David is heartwarming. As much as I can tell through your writing the impact David had on you I’m quite sure the same could be said for your impact on him. God bless you Colebourn and thank you so very much for sharing this. What a wonderful tribute to David and his family. You have inspired me to stay faithful in the Lord, and I know God surely does have a plan for your life. I’ve been searching for the words to explain why this has been such a painful tradgedy. Thank you so much. David was one of a kind. Absolutely beautiful. You’ve said what so many people are thinking right now. So sorry for your loss of a dear dear friend and mentor . Prayers to all . I’m so sorry for your loss and the great loss in your church and community. I live in southern illinois and first heard of this terrible accident on one of the Evansville TV stations. Thank you for writing this tribute article, so that those of us who did not know David or his family now have a much stronger sense of the loss you are all experiencing. May God bless and comfort all. WOW! What a powerful story. Thank you so much for sharing.❤️ The Lord’s message shines brightly in the memories of Pastor Dave, Sophie and RuthAnn. I read this out loud to my husband…we’re both in tears….beautiful written♡ Thank you for sharing. Thank you for sharing this wonderful story. It served as a testimoney to my heart. Tragedy in any sence of the word is difficult to understand. I do believe heaven is an escape from this hurtful and cruel earth. I also know that this family is there and will no longer be subjected to the trials we on earth face. Devestatingly unfortunately, this is one of those trials that we deal with. Take comfort in knowing they are all in His arms now and take comfort in knowing that God will be there for you. He never burdens us with more than we can bare. What a testimony to a Living God and a man who in Christ, made a difference! My prayers are ongoing……God help all of who claim you in and for our lives….to care to make a difference! I don’t know you but what a tribute to this man and family. May God hold you and the congregation in his arms and help all to get through this terrible loss. This is so beautiful. Thank you for sharing. I’m thankful you became an educator. You will positively influence countless future leaders. God bless you. Thank you it was a wonderful tribute to a servant of God and a dear friend to you. May the words he gave you here on earth give you hope and strength on the days you’re missing him the most. David was my piano teacher and spiritual mentor as well. Your connection with David was so similar to mine I started weeping. After church this Sunday, I looked at my Bible verse from last year and could not believe how appropriate this verse is right now. 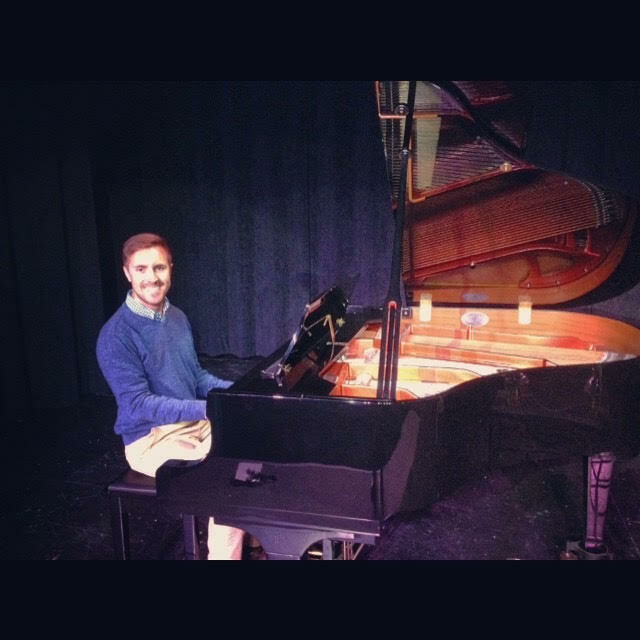 I was SO nervous about my first piano recital last year, but David encouraged me and knew I could do it. He was right. I even enjoyed it, and during the summer, I was already looking for music to work on for next year’s recital.Oh the memories! My heart cries out for the Rineharts! Beautiful memories…eternal legacy! Bless you for sharing David’s ministry. What an incredible article you’ve written about David, especially when you’re mourning. It takes a lot of strength to be able to share things that are so painful now to remember. Praying for you.